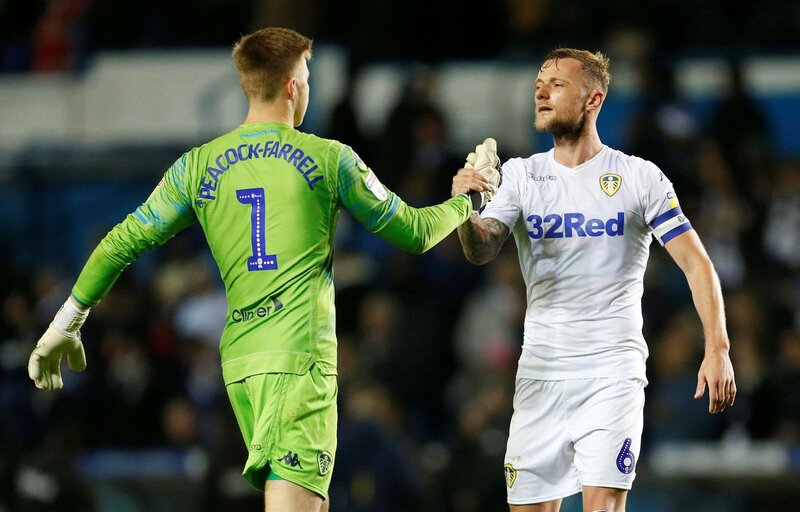 Marcelo Bielsa was forced to field a Leeds United side without Liam Cooper on Saturday, but it didn’t stop the Whites in their tracks as they beat Sheffield Wednesday at Elland Road. Leeds shuffled their pack prior to kick-off, with Gaetano Berardi taking the place of Cooper after Bielsa’s captain complained of a muscle problem in the warm-up. Jack Harrison scored Leeds’ goal in a 1-0 win over Wednesday, with the Whites managing to hold firm despite the absence of Cooper in defence. The 27-year-old was still present, though, with fan footage – @1GoodLeg – showing the skipper greeting the players at the tunnel after the full-time whistle had gone. Now, Leeds are sweating on the availability of Cooper heading into the final four fixtures of the season. A report from the Yorkshire Evening Post yesterday stated that Bielsa hopes Cooper has avoided a serious injury, but his involvement during the run-in is in doubt after this setback. Cooper has made 33 appearances this season for the Whites, captaining them into promotion contention. Cooper is really highly thought of at Leeds, particularly for the way he captains the side. He’s a leader even when he doesn’t play, which this footage shows. It is the little things that make a big difference, and this might not seem a lot, but it is why he’s so well respected at Elland Road.